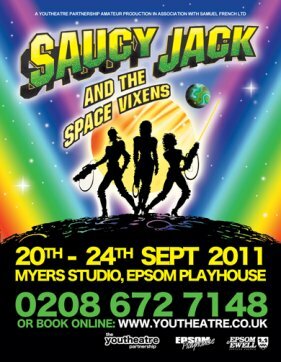 Been in a production of Saucy Jack? 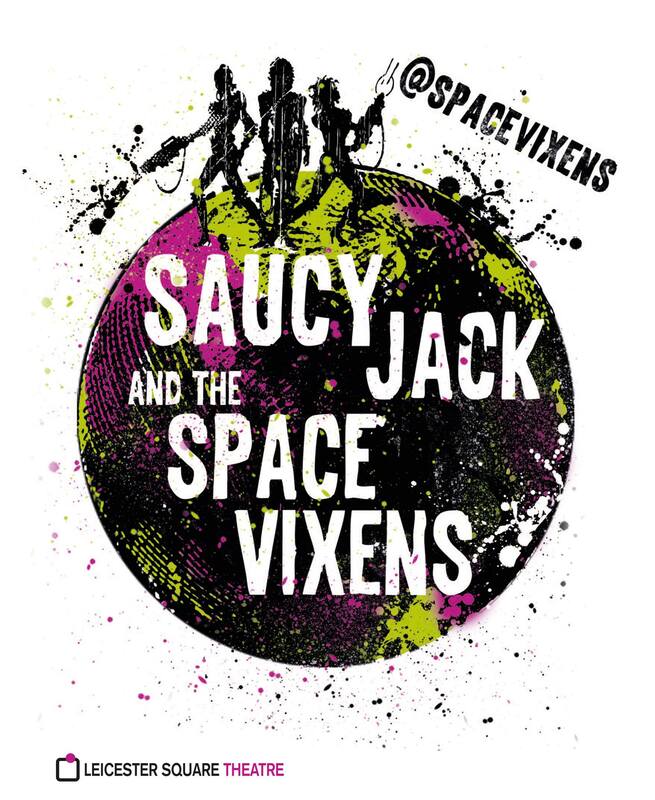 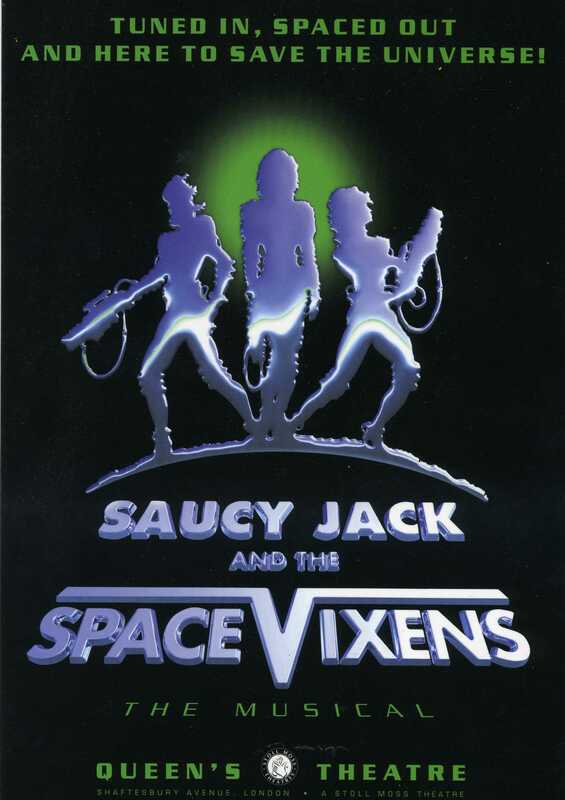 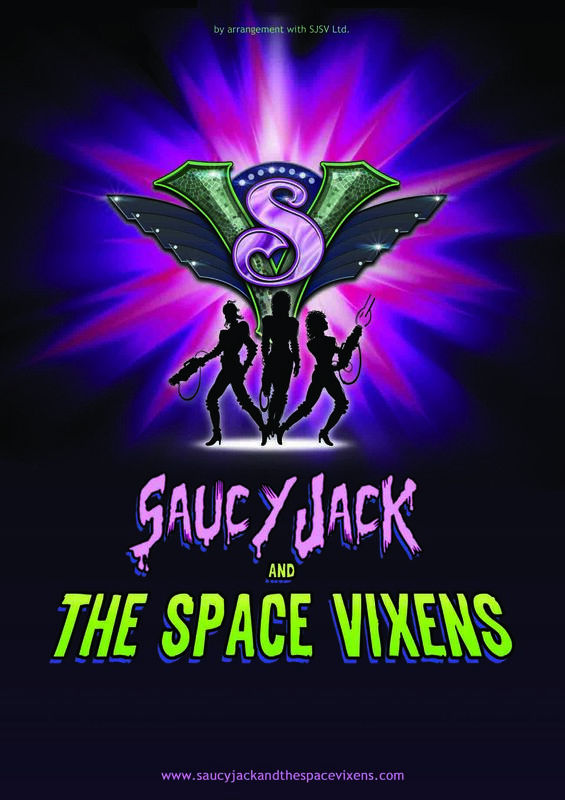 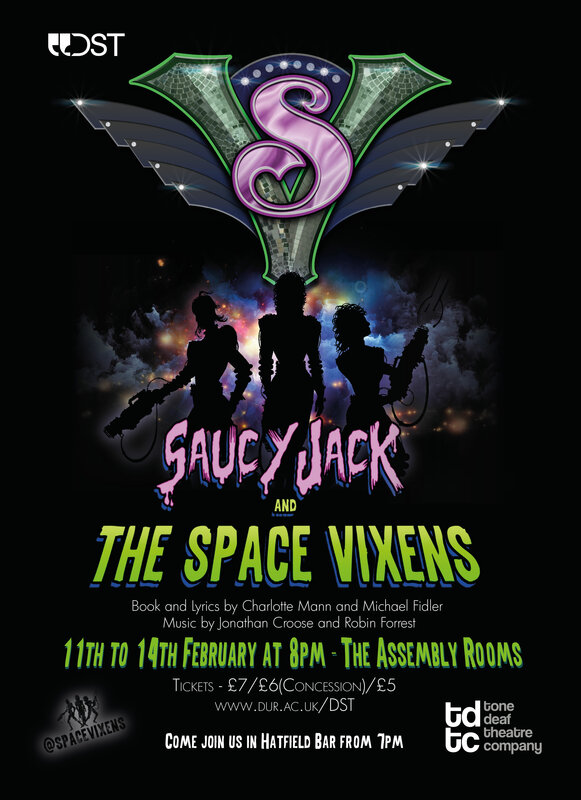 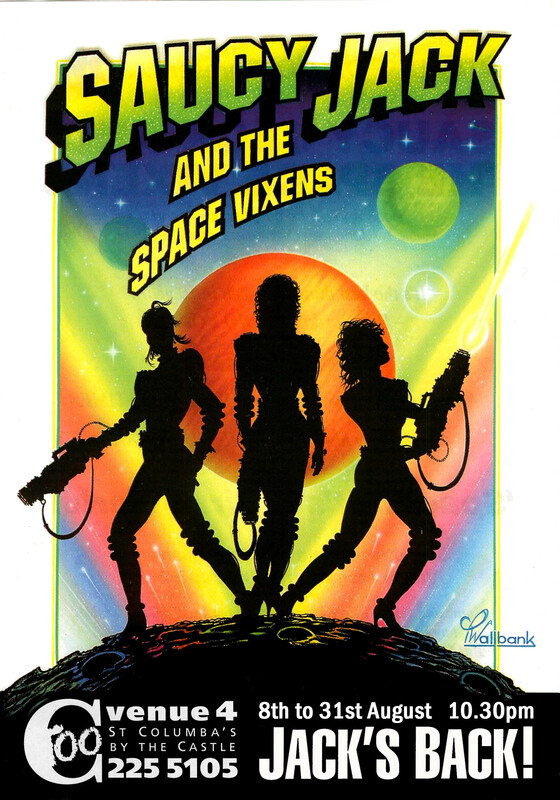 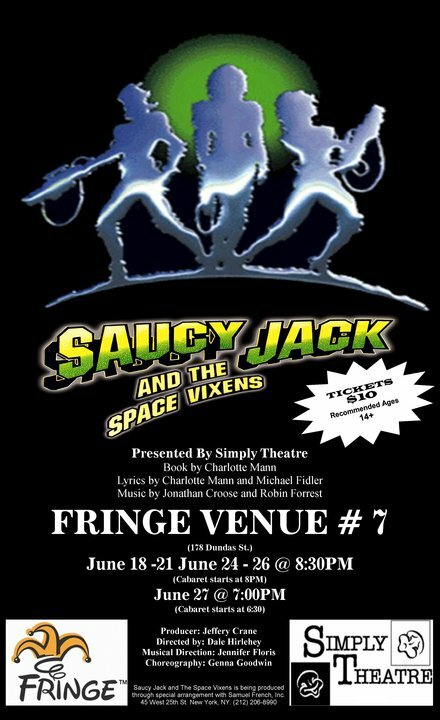 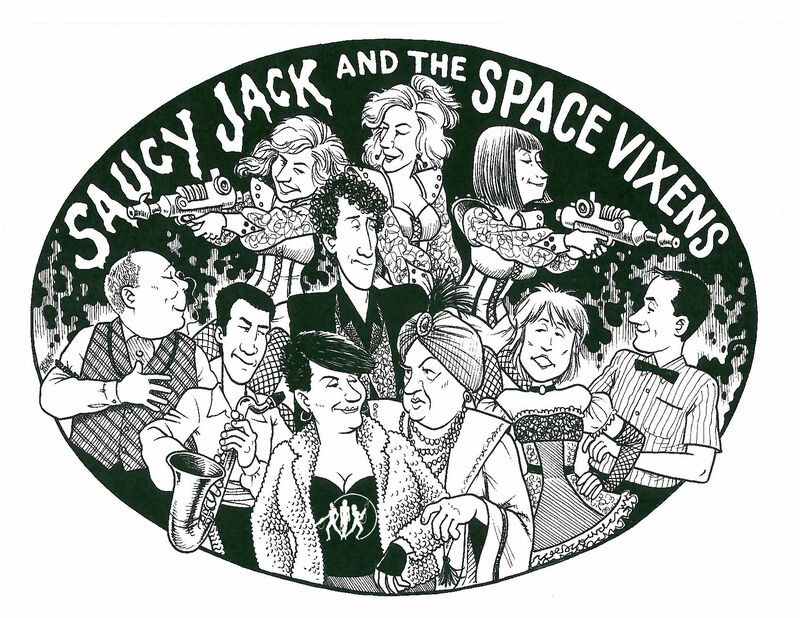 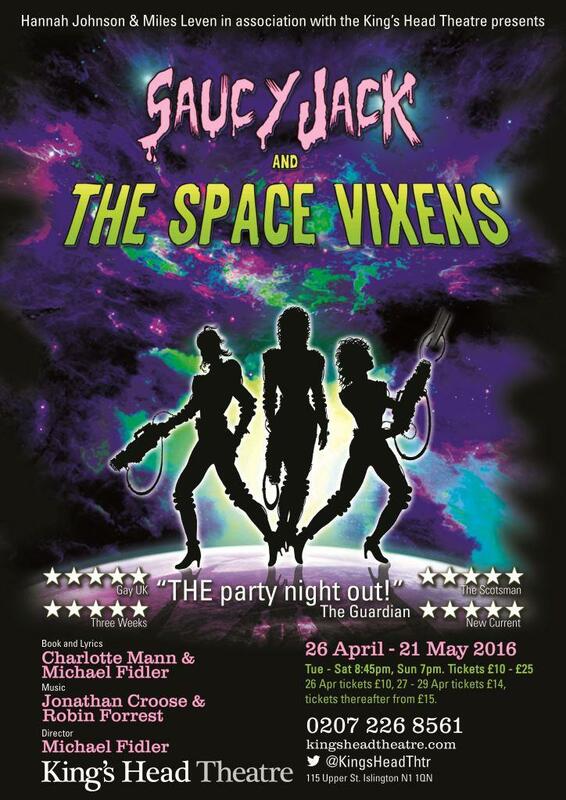 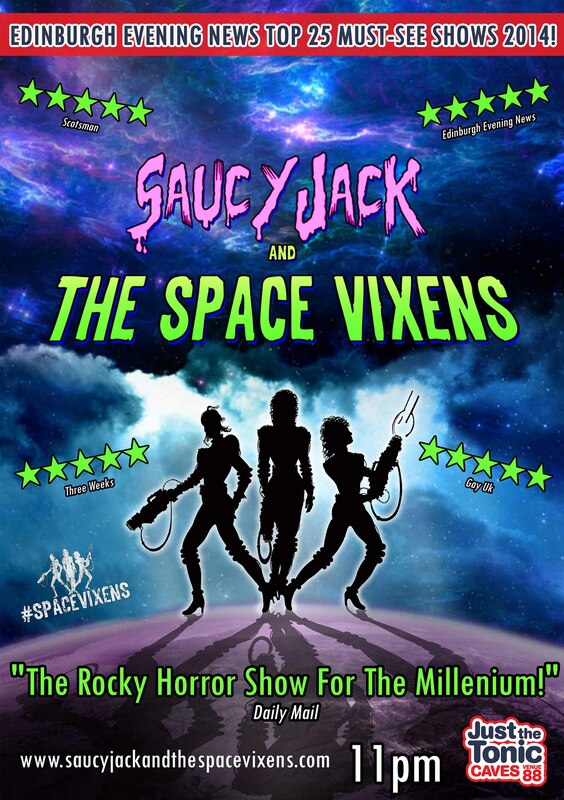 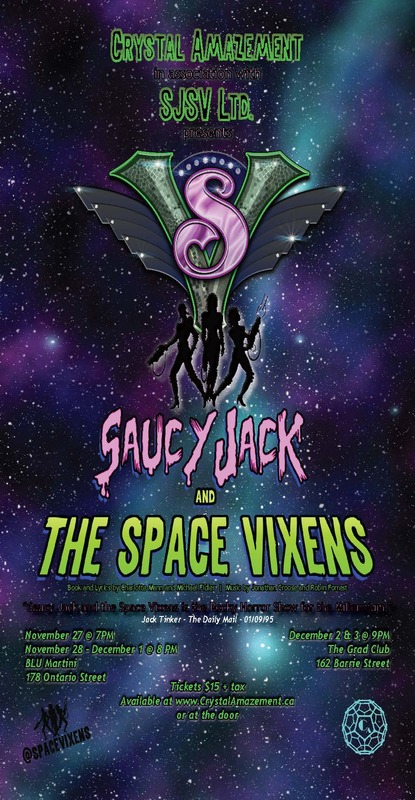 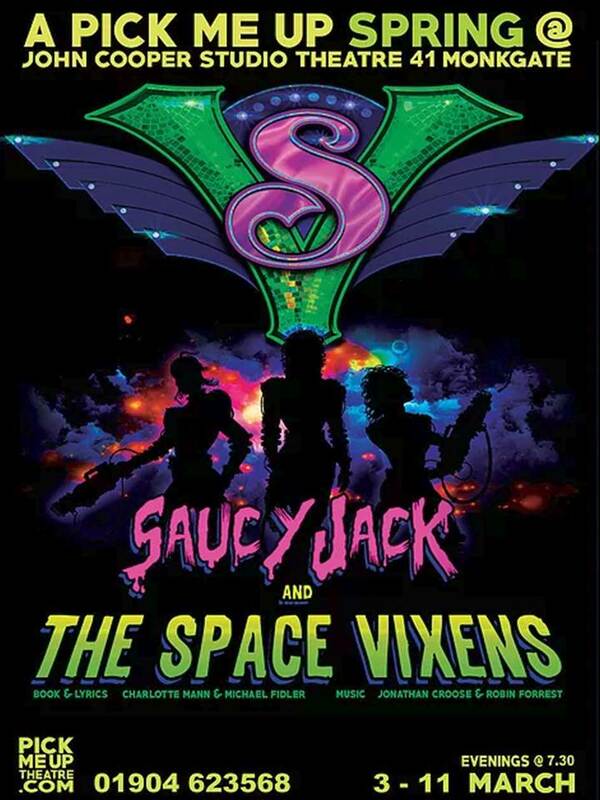 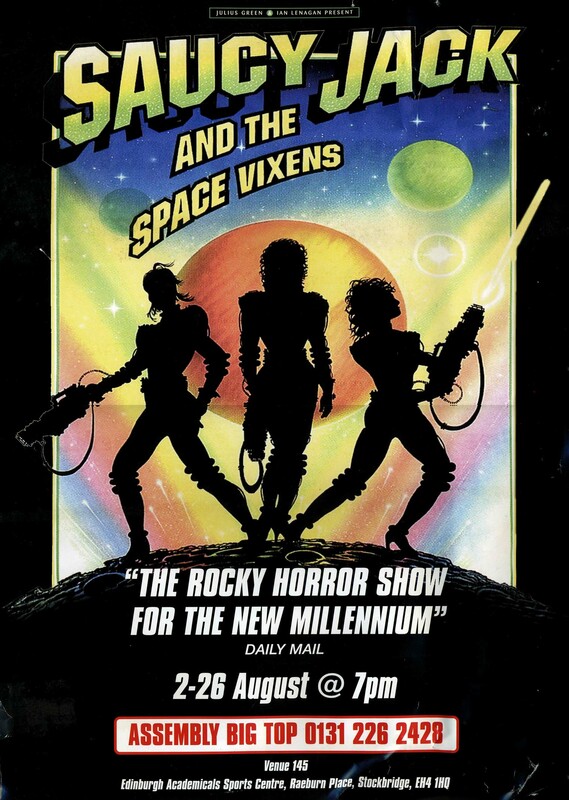 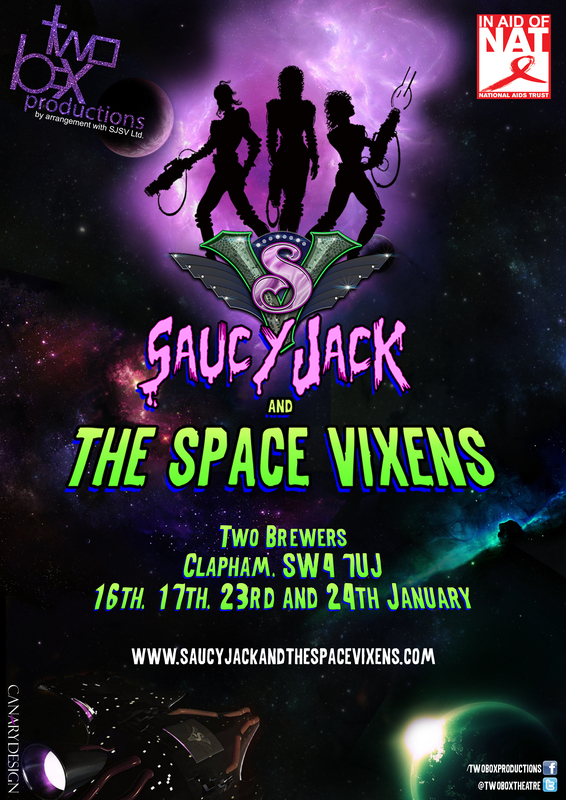 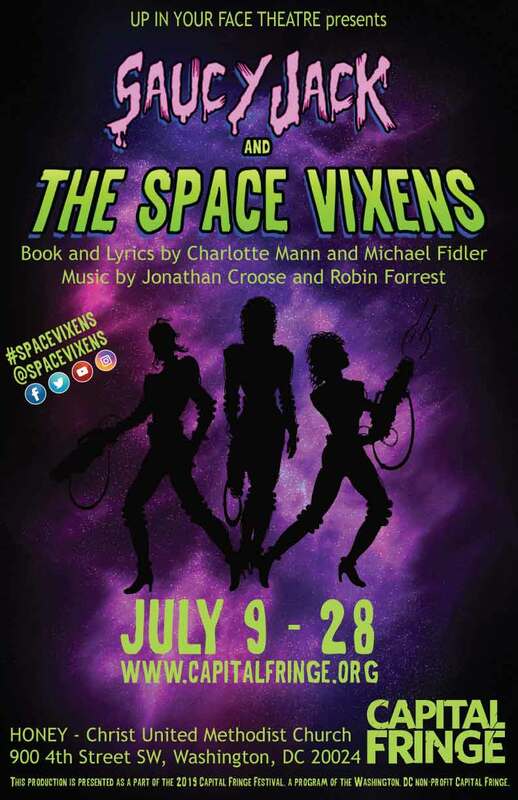 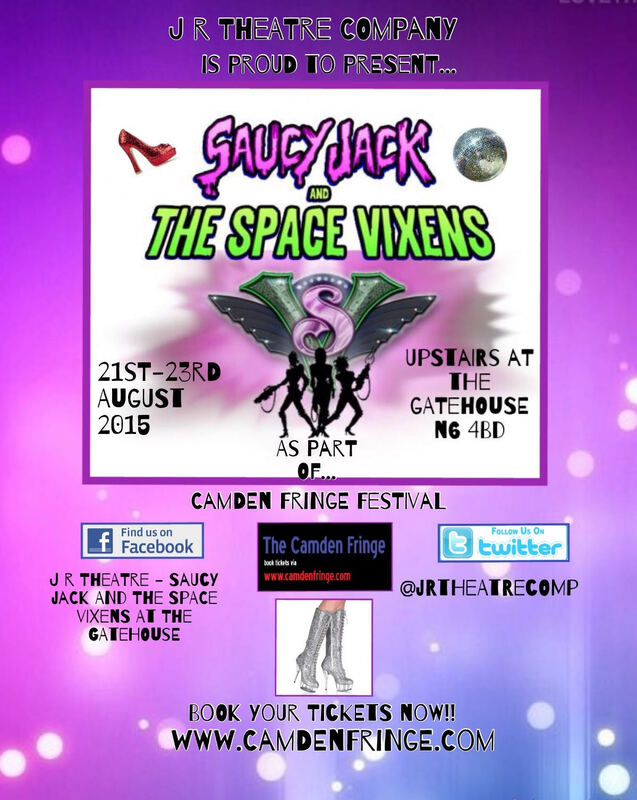 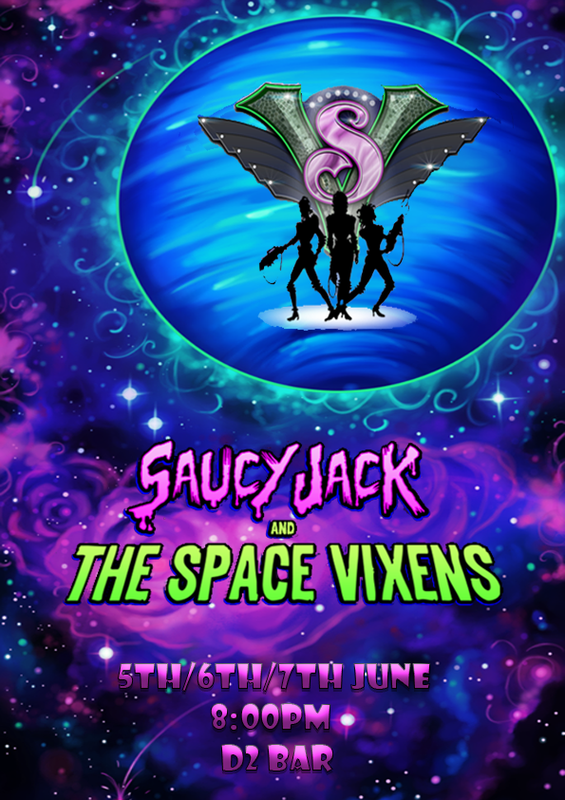 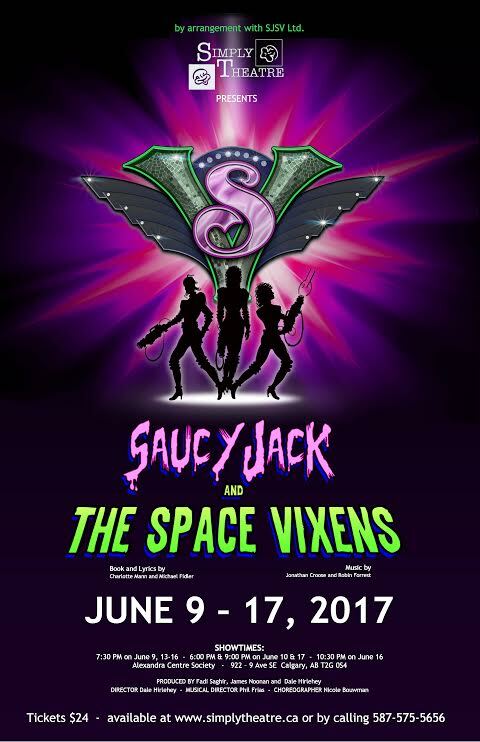 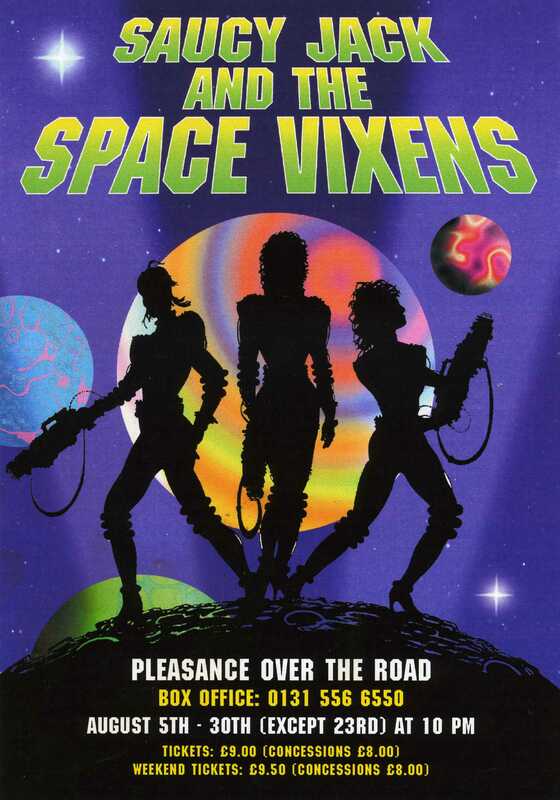 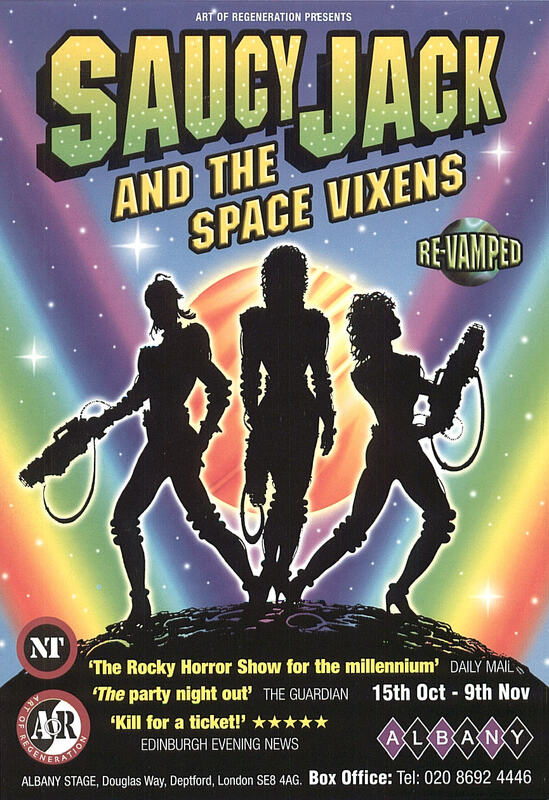 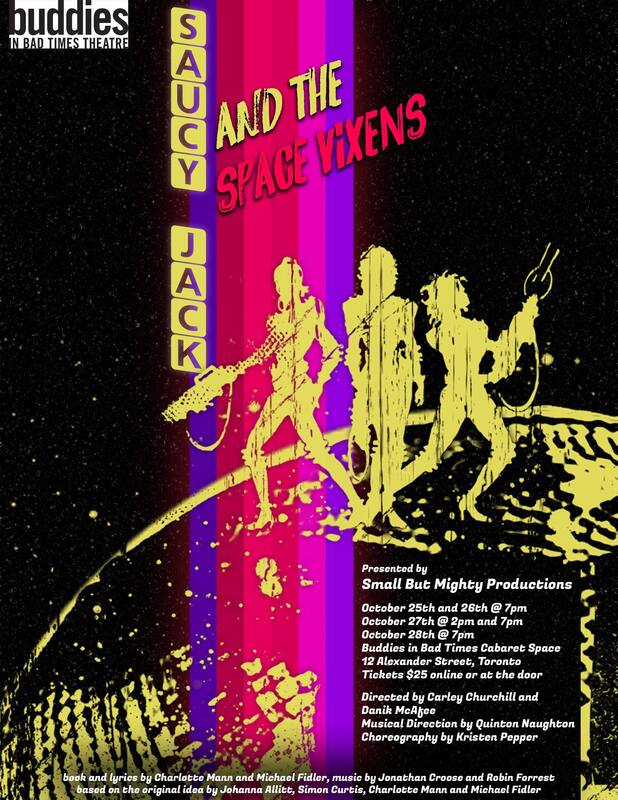 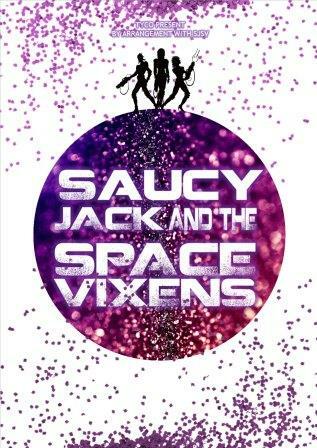 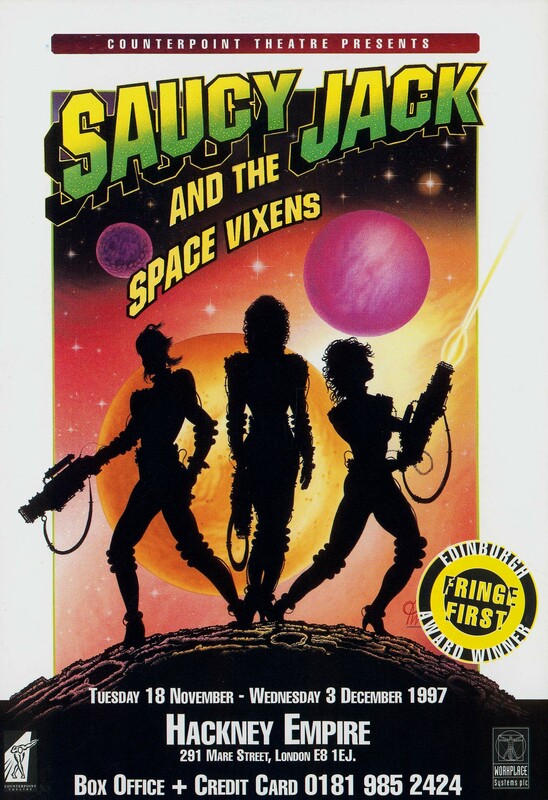 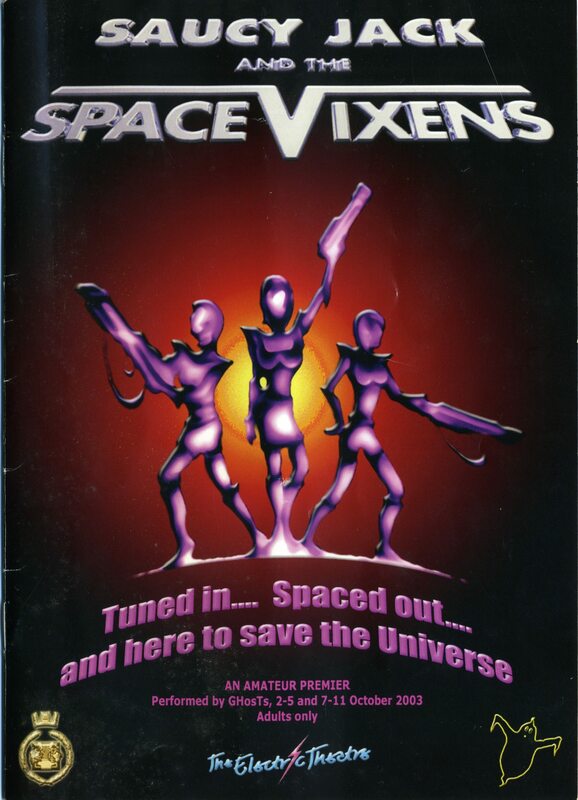 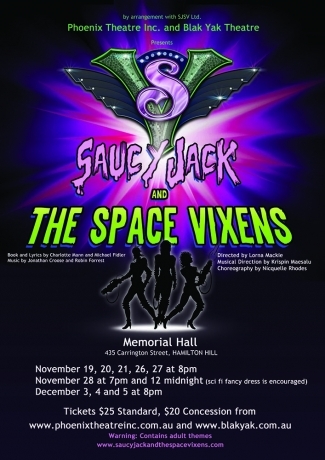 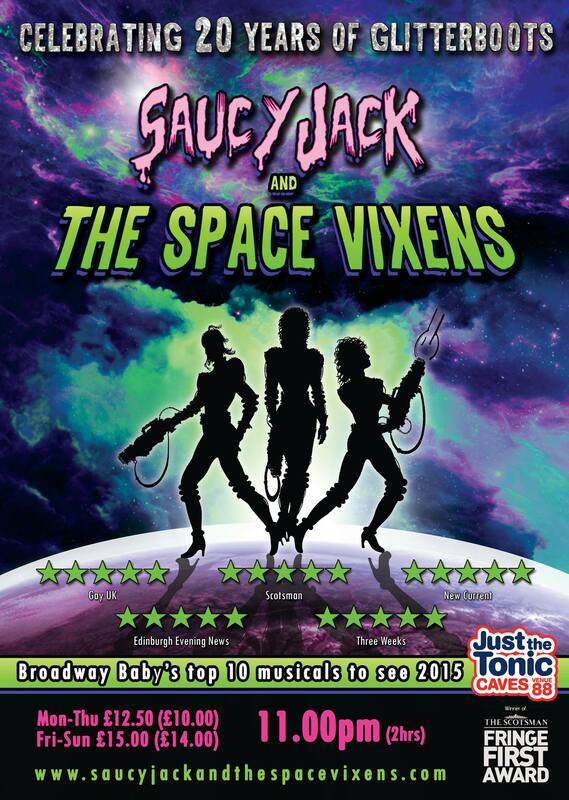 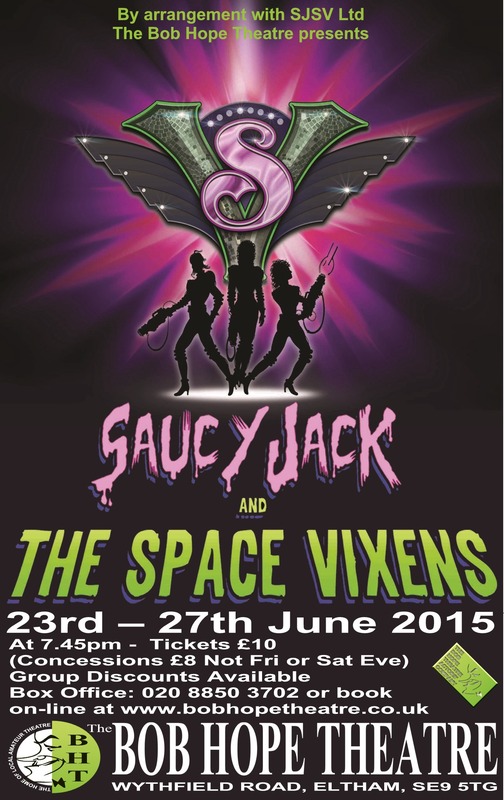 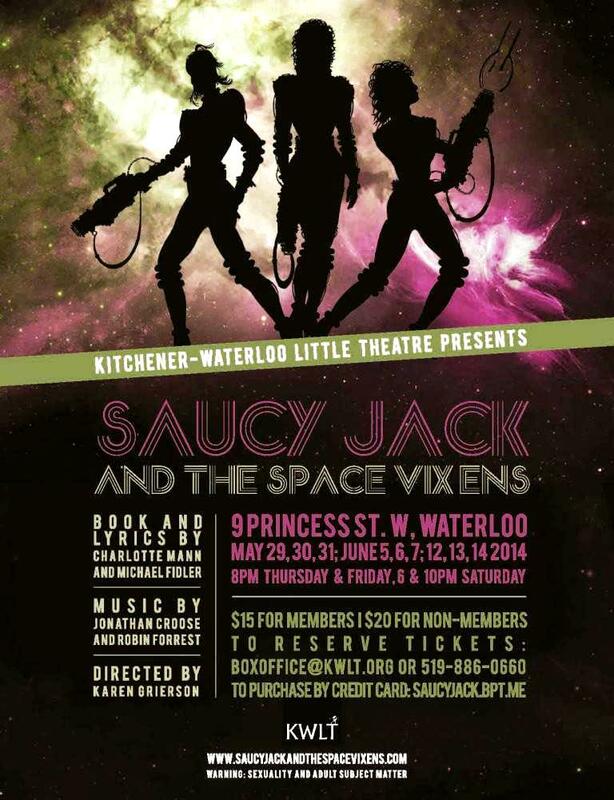 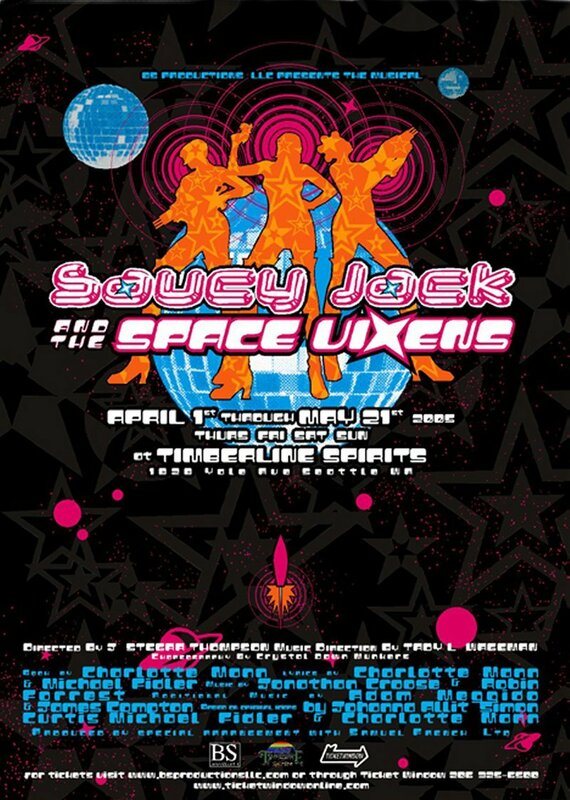 Saucy Jack and the Space Vixens was first performed as a one act late-night musical at the Edinburgh Fringe in 1995, produced by Michael Fidler and Johanna Allitt. 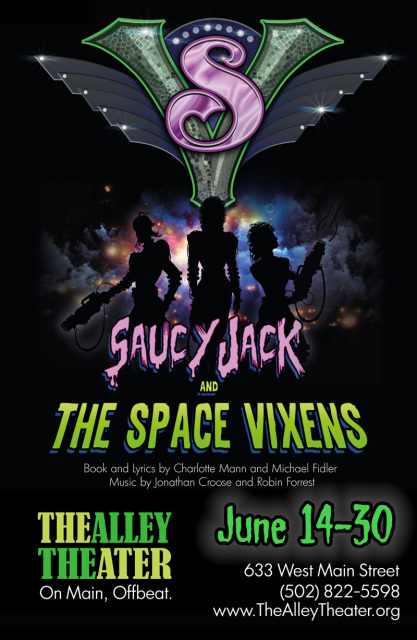 It played to sold out audiences, gained wide-spread coverage and received a coveted Fringe First Award for "innovation in theatre and outstanding new production." 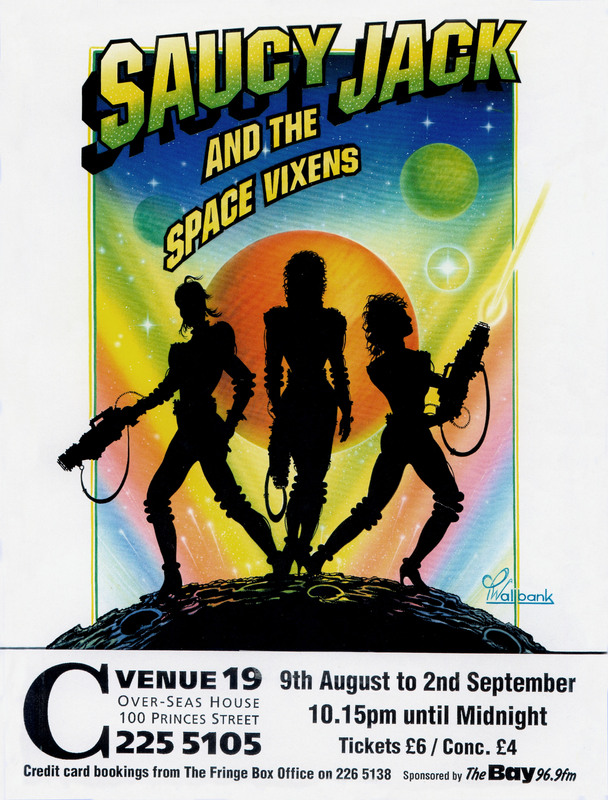 The show returned to the Edinburgh Festival in 1996 with Counterpoint Theatre as a fully-fledged two act show, complete with a brand new venue built to house it. 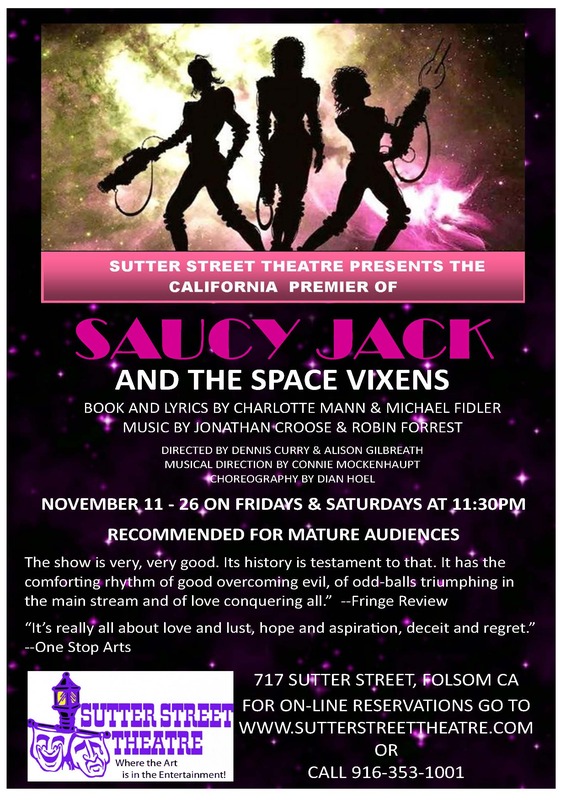 Again, it sold out and received five star reviews. 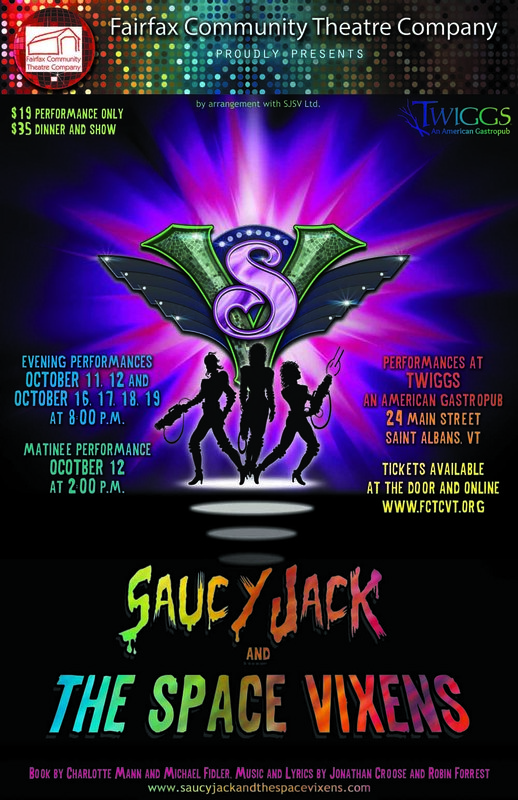 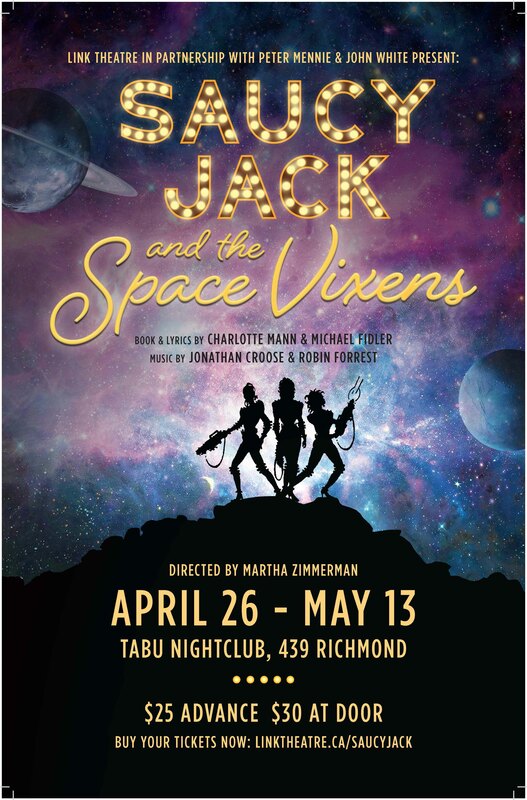 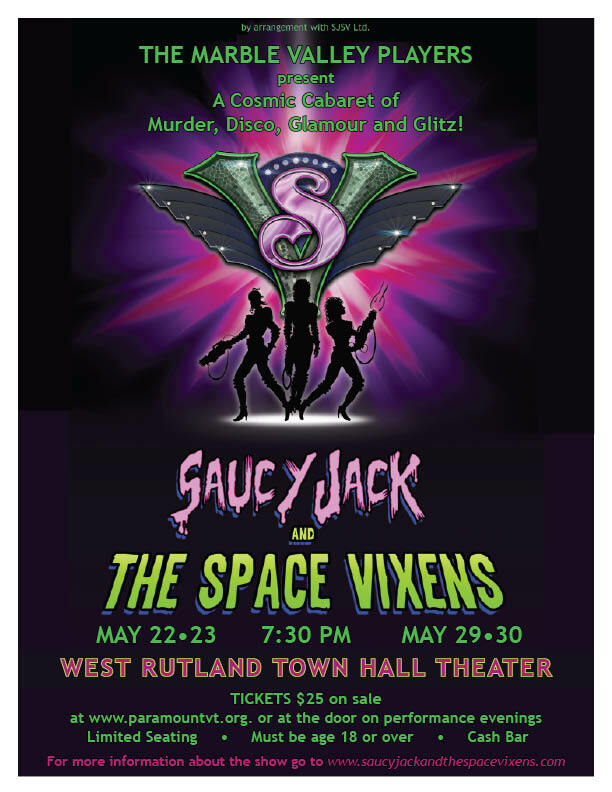 Next stop for Saucy Jack and the Space Vixens was Burlington, Vermont later that year where the show extended its run due to popular demand and won a "Bessie" award for Best New Musical. 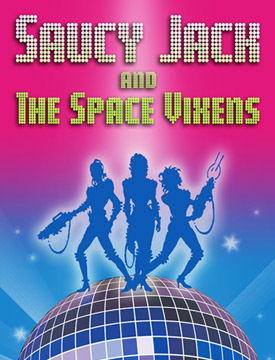 The show was then developed as a touring production by Julius Green and Ian Lenagan in preparation for its inevitable transfer into the West End. 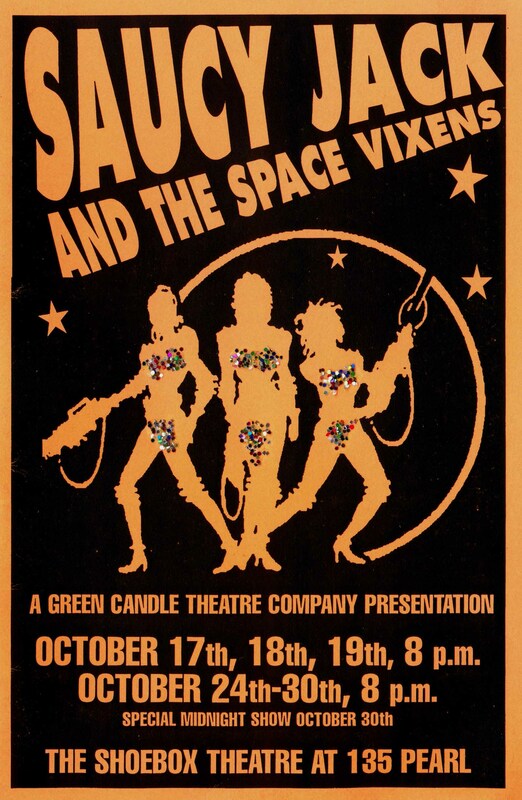 After successful runs at the Oxford Fire Station, Nuffield Southampton and Hackney Empire in 1997, it opened in the Queen's Theatre in London's West End in 1998, directed by Keith Strachan. 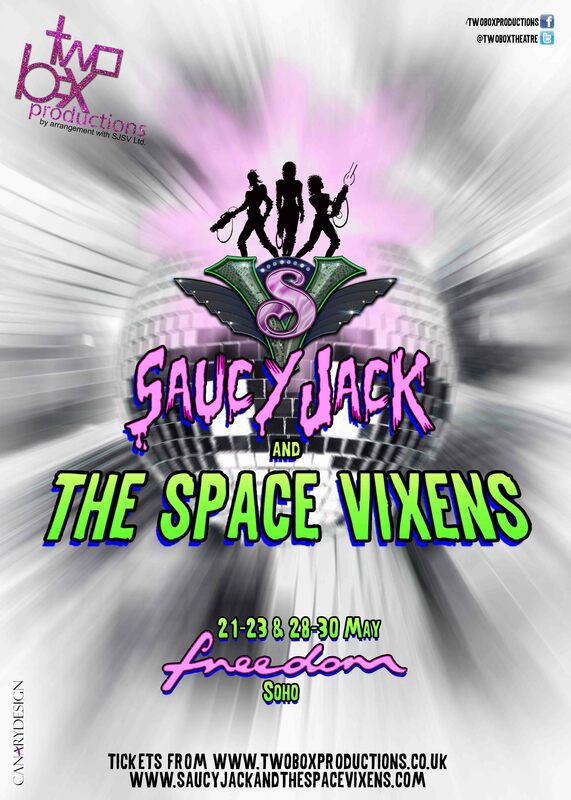 On the back of its success on Shaftesbury Avenue, a bespoke nightclub was created to house the show, Saucy Jack's, appropriately located on Crucifix Lane next to London’s Southbank. 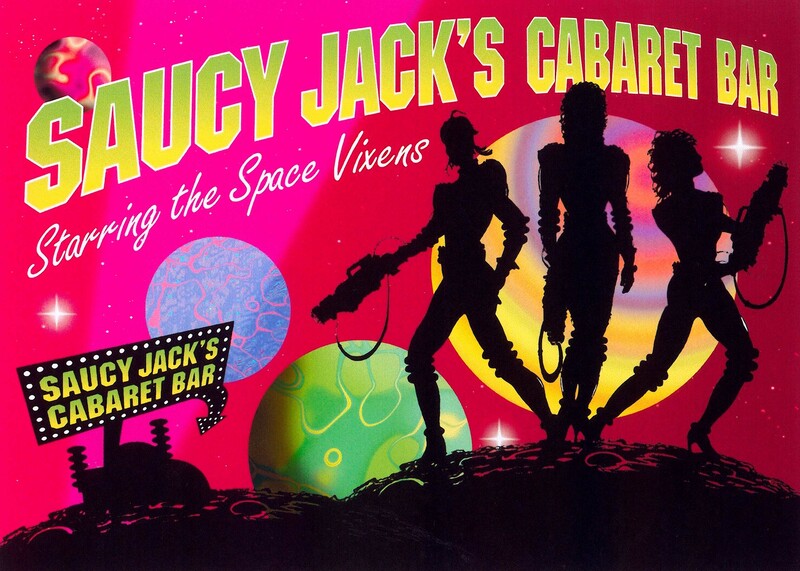 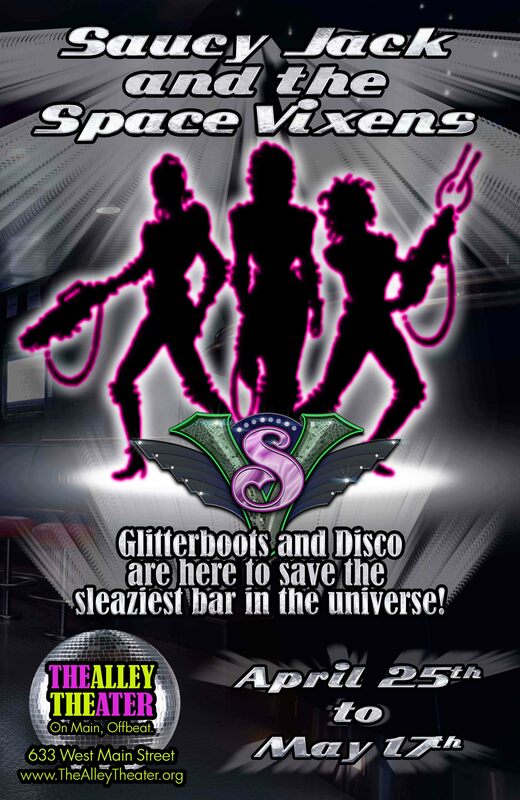 The show played a successful run at the Pleasance back in Edinburgh in 1999 as the warm up for the opening of the Club and this purpose-built cabaret nightspot became the permanent home for Saucy Jack and the Space Vixens until 2002, offering a unique evening of cabaret, theatre and dancing for one ticket price. 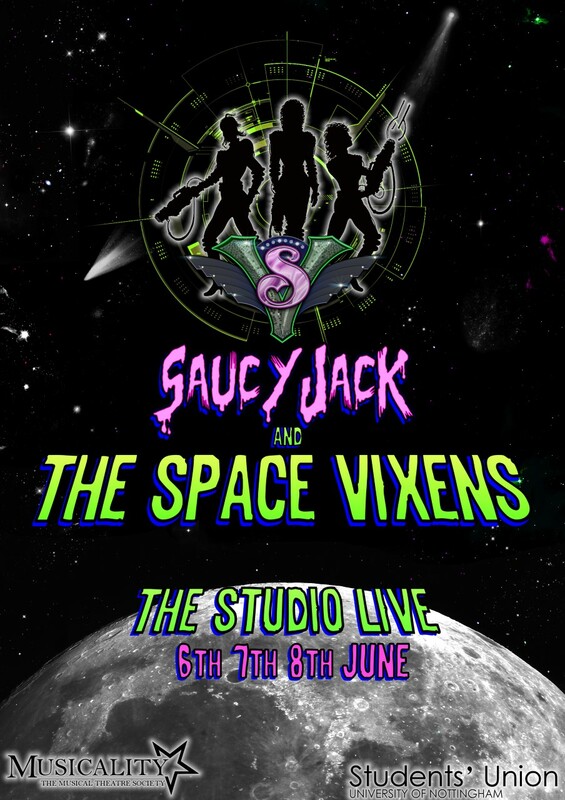 It allowed Saucy Jack to realise its full potential as an interactive live event. 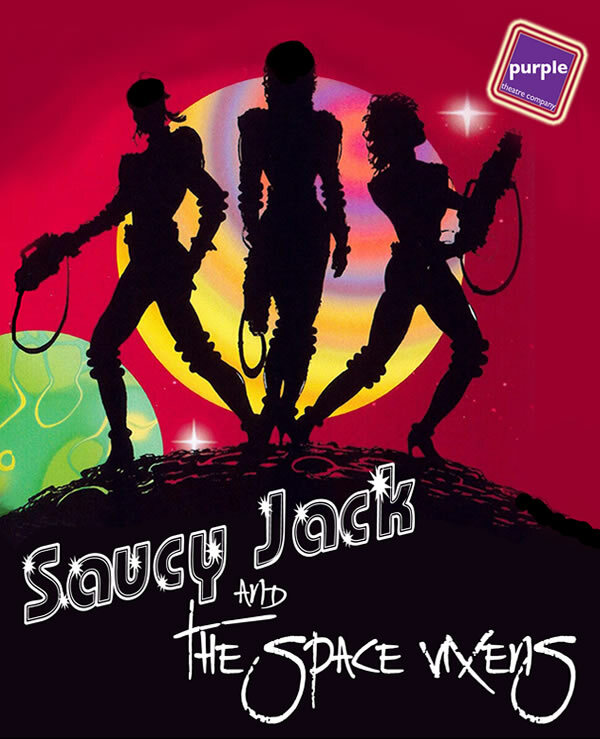 Saucy Jack’s closed its doors in the summer of 2003 and the show went on the road again with a hit production in a circus tent for the Assembly Rooms back in Edinburgh. 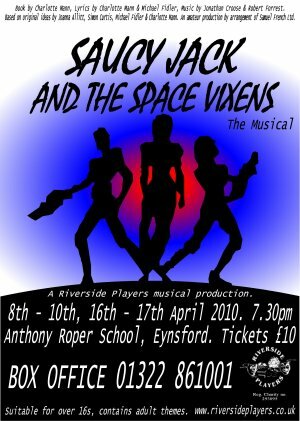 Later that year it moved to the Albany Theatre, London in association with the National Theatre. 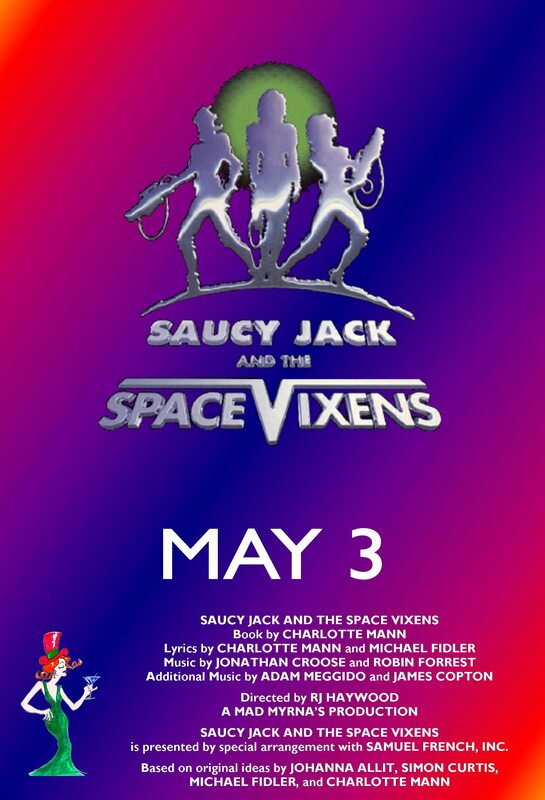 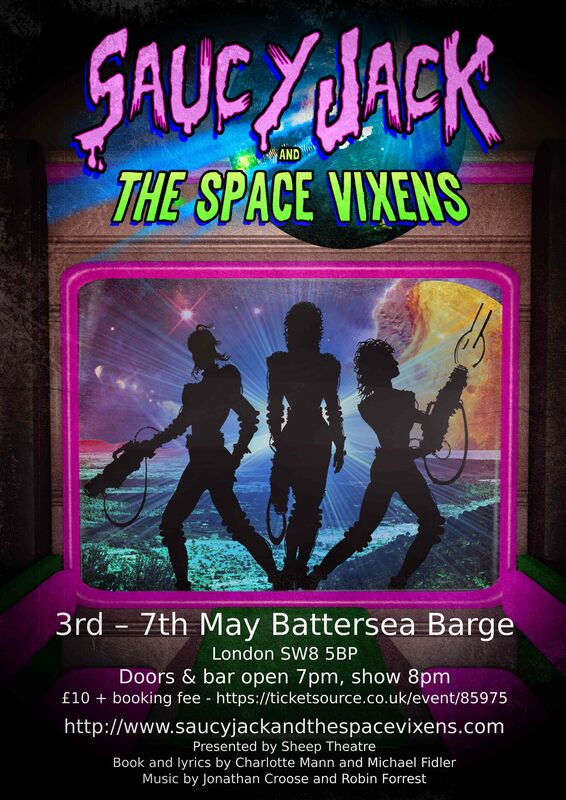 This coincided with the long-awaited release of the amateur rights by Samuel French Ltd.
Saucy Jack and the Space Vixens played in the West End in 2006 at The Venue, Leicester Square, produced by Glenn M. Stewart and directed by Mike Fidler. 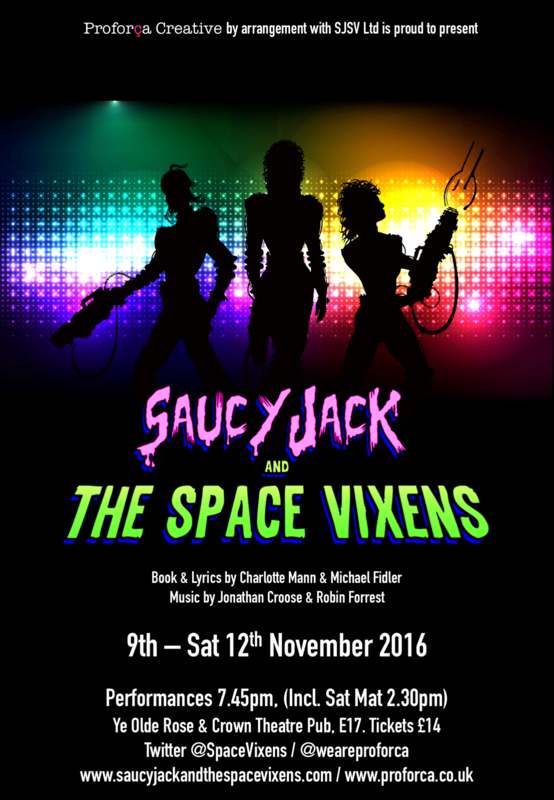 It starred Faye Tozer of Steps fame and featured choreography by Dancing With the Stars and Strictly Come Dancing judge, Bruno Tonioli. 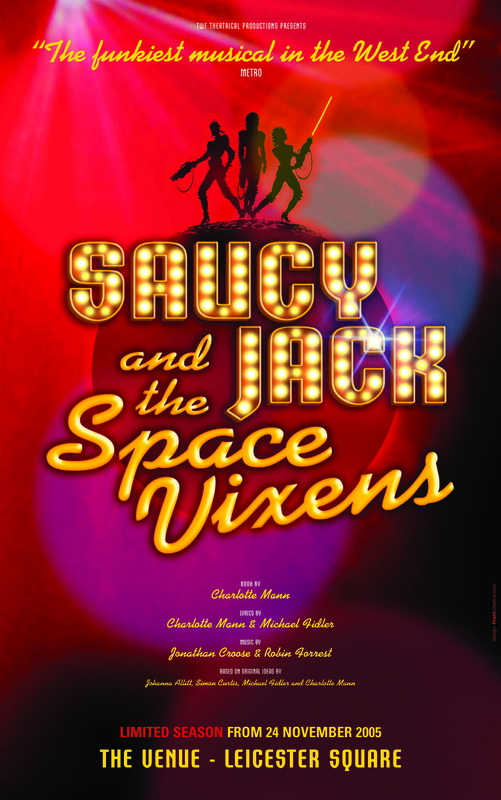 It was last seen in the West End at The Leicester Square Theatre in the summer of 2013, produced by Martin Witts, directed by Stuart Saint and starring Olivier Award winner, Leanne Jones. 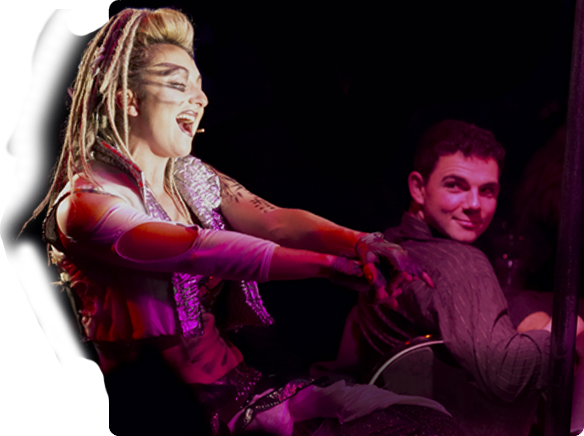 Several members of the West End company went on to join the original creative team to mount a lavish production in The Edinburgh Caves, deep in the old city, as part of the 2014 Edinburgh Festival. 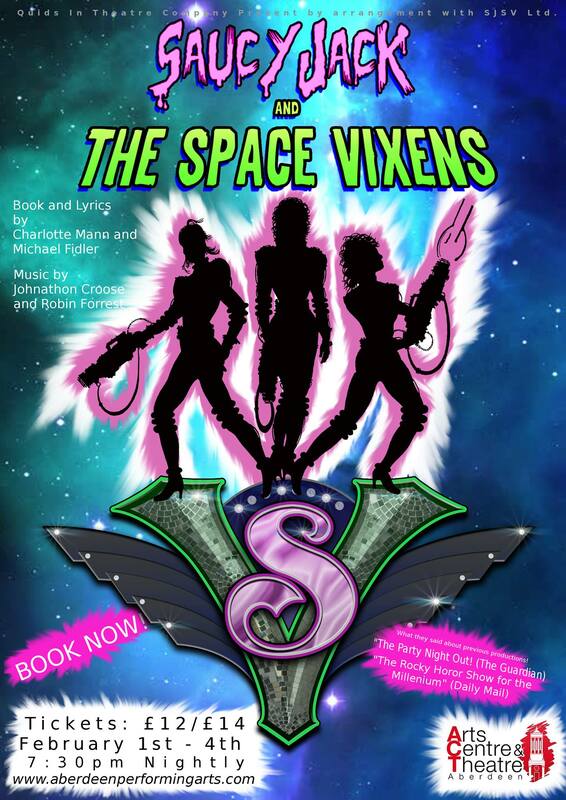 This is an ongoing project and you can get more information here about how to see it in 2015.